When you are going on a business trip or vacation, you have choices to make about the care of your dog. You can have a friend or relative take your pet, you can have them look in on your dog at your home or you can find a pet boarder to house your pet. But there is a better, safer choice for the care of your dog in your absence. Choose dog boarding at Oakland Park Animal Hospital. First and foremost, when you board your dog with us, it is being looked after by caring professionals who know and understand the signs of stress and illness. Oakland Park Animal Hospital can provide the proper care should your pet become sick. We can administer any medications your pet may be taking. We ensure your dog receives the appropriate amount of food, attention, and exercise. But some people prefer boarding their dog with us because of the extra services we can provide in their absence. For example, we can take care of grooming your pet while your gone, or even providing other care like addressing dental issues. 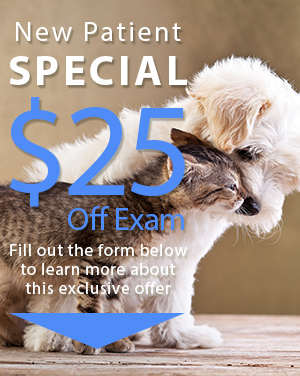 As a full-service veterinarian, we offer more than a traditional boarding facility can provide. Rather than just parking your pet or putting a burden on family or friends, we provide a pleasant and safe atmosphere with people who have made pet care their passion. You get peace of mind when you take advantage of our dog boarding services at Oakland Park Animal Hospital. Make sure you plan dog boarding far enough in advance, especially around holidays. Please make us aware of any special requirements your dog may have that our vet may need to be aware of. If you have questions about our Fort Lauderdale, FL dog boarding services, or any of our veterinary services available in the Broward County area, we encourage you to contact us at Oakland Park Animal Hospital. Our team also participates in animal rescue and outreach programs in the region and takes part in animal expos, where we often provide care and training tips. Contact us today at (954) 731-4228 to set up dog boarding services! 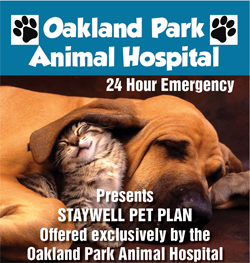 Get the peace of mind you deserve when you travel by boarding your dog with Oakland Park Animal Hospital.